all about people who are using their resources to help animals, articles on natural healing and nutrition, advice from leading animal experts & holistic veterinarians, coping with pet loss, alerts to endangered species, and highlighting the best quality natural products and nutrition available for your animals in each issue. It"s all right here. This is a group for people interested in participating in a BARF Co-Op in Orange County, California. This is a pretty seasoned group of dog raw feeding folks (est. 2001) that correspond with each other to acquire various types of meats (usually) from different vendors. This Yahoo! group forum is for dog & cat lovers in the Los Angeles area who either already feed a raw diet or BARF, or want to learn more about raw feeding & BARF diets through this forum. "Topics for discussion include diet, breeding, whelping, puppies, aged dogs, your stories, sources, local suppliers of food & supplements for our animals, etc." Hemopet Products and Services Include: Canine Packed Red Blood Cells, Blood Banking Supplies, and Canine Fresh-Frozen Plasma. When your dogs are in dire need of further related blood products, they also possess emergency Canine Whole Blood, Canine Platelet-Rich Plasma and Canine Cryosupernatant Plasma. Available for consultation. Although this is a great website in general to learn about bones and raw feeding for dogs, I wanted to call your attention to the delivery page. Here, you can contact no less than 25 different pick-up places in SoCal where you can order ahead & pickup your Barf delivery. Your dogs will love the fresh meats. Cities include West LA, South OC +. LnR Rig B�s Distributors in San Diego will deliver Nature�s Variety Frozen Raw Pet Foods to Escondido, Fallbrook, and Valley Center, CA. Your dogs will go nutso over this quality raw meat and bones. 95% fresh meat ingredients including ground raw bones. Fresh free range, natural, USDA inspected meats. Fresh, raw ground bone and organ meats! Pet Coaching Services specifically tailored to your dogs challenges include Massage Therapy sessions (as well as professional public training), Reiki Energy Sessions, & Nutritional Counseling for your dogs. Esther also provides Pet Care & Safety Workshops which focuses on improving pet�s lives one owner at a time. Oh yes, and you didn�t think we had a dog "bones and raw feeding" get together place in cyber-space now did ya(?) Shame on you. Yeah, this is a cool place to surf over to and meet others in Orange County who also like the benefits of feeding the BARF lifestyle to their dogs. This is a newer group and is seeking more members to spur its growth. "We carry the most nutritious, raw natural food for dogs & cats that we can find & the best supplements. Our specialty is raw food & we are suppliers of the Bravo Raw Diet & Primal Pet Food. Ground frozen foods containing raw hormone-free meat, bone, organ & mixed raw vegetables. Meat sources available include chicken, turkey, beef, lamb, & duck." This place is loaded with good, wholesome food and nutrition I would buy & feed my own dogs if I lived in LA. Run by their store a check out the dog food on hand. They sell Green Tripe organ meat for dogs, Nature�s Variety Prarie, Harmony Farm�s Raw Meat Recipes, Animal Essentials dog food & many others. Aslo, great animal companion training too. "Are you frustrated at your pets discomfort & constant licking, scratching & odors? Already tried messy & expensive medication or medicated grooming products with next to no success? If your pet has either a minor or chronic skin problem, it might be caused by stress reactions to irritating, unfriendly skin bacteria. Get Kritter Spritz� & OdorGone. Paws & Play Pet Camp in San Diego has happily stepped up to the plate and is helping San Diego dog owners feed their canines raw food through their Barf distribution. Your dogs and cats will love the variety they offer. They provide Halshan brand muscle meat varieties, organ meat with veggies, meat with bone included and others. "TTouch is being used by pet owners & groomers, pet sitters, trainers, behaviorists, breeders, vets, competitors in agility, obedience, and tracking. It offers positive solutions to common behavioral and health-related problems, such as inappropriate aggression, separation anxiety, excessive barking, chewing, jumping up and leash-pulling in dogs." All Grandad�s pet foods are 100% human-consumable grade meats. All our chicken is Rocky� free-range chicken. Grandad�s pet food for dogs and cats is ground fresh daily & fresh frozen immediately. Grandad�s products contain only fresh, raw, natural ingredients formulated to keep your dogs healthy and happy. Double-Ground Chicken, Beef Blend & more. "We specialize in crafting the best possible wholesome all natural dog treats and holistic pet foods you will find anywhere. Our pride and joy is our allergy formula vegetarian carrot and garbanzo snack--no corn, no wheat which often is associated with skin allergies and intestinal problems. Try the Garden Pups� Garbanzo Carrot Snack. The goal of holistic medicine is to achieve balance in your dog so true healing can occur, addressing aspects of mind, body, & spirit together for your canine pet. Dr. Hebbler believes that nutrition & detoxification are primary & vital to animal health. Her exposure to many healing modalities has resulted in a unique approach to healing. This group is for anyone who feeds or is thinking about feeding a bones and raw food diet (BARF) to their service dog. Although this has been a relatively small group, they encourage pet owners in the San Diego area to sign up on the forum and welcome active participation for the benefit of their canine service dogs. "Products carried are those we personally use amongst ourselves & animals. Including healthy, natural, & organic supplements & immune system boosters as well as holistic herbal remedies to help eliminate parvo virus, distemper, e-coli, coccidia, giardia, corona virus, kennel cough & upper respiratory infections, urinary infections & heartworms." "Pet Tech, Inc. is the 1st national pet training center dedicated to First Aid and care for both dogs and cats. Knowing the life saving skills and techniques of pet first aid is a very important part of being a caring, conscientious, responsible and loving pet owner & guardian. The Pet Tech team is committed to the health, safety & care of pets." 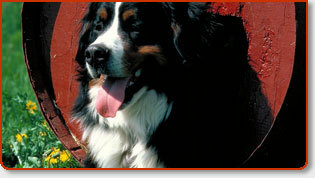 Quality, natural animal health products for dogs, cats, horses, birds, rodents, and reptiles. "My goal is to empower the animal owner to know exactly what to do, and that is in the form of education, and leading you to the products I have to accomplish this." This Dr. of Veterinary has homeopathic remedies for many illnesses dog compete with. Do you know what is in your pet food? Compare your dog and cat food to Life�s Abundance. The best in natural pet food, treats & supplements. For people we offer Dr Barry Sears OmegaRx Fish Oil and organic, healthy foods and snacks. Wholesale prices. This is a very new San Francisco Bay area bones and raw feeding group for dogs. They do need some new members in the area to join the group in order to continue its existence and interest organizing deliveries to pet owners in the area. Sharing the benefits of feeding raw is a topic interest for beginners and experienced alike. "The ultimate grocery store for your pet." The Fremont BARF Co-op is a local buyers coop for a group of people who have chosen to feed a BARF (Biologically Appropriate Raw Food, or Bones and Raw Food), raw foods diet to their dogs & cats. Mostly located in the San Francisco East Bay Area, Ca. Considering new members just outside the area. "Helping owners to treat their whole pet�s indiviual needs using the most appropiate combination of conventional and alternative medicines for dogs. My goal is to cure, as well as to prevent disease. I evaluate and treat your pet from a "whole animal" perspective using a holistic approach that seeks to undercover the underlying health issues. Actually, Aunt Jeni�s raw food is a great diet for all types of animals including companion cats and canines. Lots and lots of holistic, grain free organic pet food abound from this pet food maker. Although I see no Orange County distributors, check their website�s retailer page. Free shipping on many of their pet foods. This company is the proud manufacturer of the green tripe products you have seen so often in serious raw feeding pet stores since 2000. It is unreal the quality and diversity of raw meat they have available. Uh, meat you just don�t see elsewhere (grin). Take a look at the pics. 100% Green Tripe (ground), Beef Pancreas, & Raw Cow Hooves & more. "Only fresh, natural, wholesome ingredients." Although this is a very good looking dog food, I have not tried it yet for my own dogs. Although I do not see any organic products on the label, I am happy with its ingredients. 3 sources of high quality protein including chicken meal, fish meal and eggs derived from human-grade processing plants +. Some awesome raw feeding diet meat, etc for dogs here. The meats are 100% human grade, USDA inspected. All ingredients naturally contain vitamins, minerals, amino acids whole raw food enzymes. There are no preservatives, dyes or artificial ingredients added in this dog food. Green Tripe, 100% ground chicken backs, duck, rabbit, quail, lamb & more! This is another Southern California bones and raw feeding for dogs forum that ios good and active. "BARF suppliers will provide a list of what is available in CA. Also offer people who feed their animals the BARF and similar diets. All pet owners can list their needs. If you have a need or a problem, post it and maybe others can help." This is a great dog food that is also appropriate for cats and other animals as well. Although my dog did not take to it form day one, she now loves this natural dog kibble. I have found it stocked at Petco & other pet stores in Orange County & Los Angeles County. Try the Natural Balance� Dog Food Rolls which you can slice for dogs as a treat. This page lists resources for learning more about the following topics: 1) The Barf Diet & wellness dog food and 2) pet medicine and holistic healthcare. All resources included are consistent with these two topics and are therefore most interested in improving our pets health through natural approaches. Since I believe so strongly in the benefits of feeding our dogs raw meaty bones (Barf Diet) as the majority of their food source, I have decided to include a large number of important sources of information and holistic healthcare dog books on the subject. Topics also include: an introduction to canine raw feeding, FAQ�s, suppliers that sell various �game� meats, as well as established internet forums and clubs to exchange information. Maximizing the life duration and happiness of my dogs has been a priority ever since I adopted them both. I can confidently say that the three fundamental explanations to my dogs health and happiness have to be feeding them a natural raw diet, and requiring them to consume herbal remedies for health challenges instead of traditional allopathic pet medicine. And lastly, providing them with therapeutic massage regularly has equally gone a long way towards optimum pet health. I typically include raw meaty bones, raw tripe, well-blended fruits and vegetables, as well as eggs and yogurt for their tasting pleasure. There are many other sources of raw food that your dogs will benefit from including fish from time to time. And again, herbal formulations have been equally helpful and something you may want to research further. Since much of a dogs nutritional needs are contained in raw meaty bones, I have found my dogs needs for further vitamin and mineral supplementation a reinforcement that has been significantly curtailed. If after studying up on Barf raw feeding for your dogs and feeling less than impressed, I challenge you to simply try it for just a month before you give the idea the ole� heave-ho (with your veterenarian�s OK). Seriously, if your dogs start reinventing lawn gymnastics because they�re so crazy happy and energetic, don�t blame me--I�m just the messenger. I am also asking authors of holistic books specifically geared towards dogs, to include their website link and a concise synopsis about the book. This list has been compiled by, Poopbutler, an Orange County Pooper Scooper Service.